The Molar Magician is a uniquely designed teething aid shaped specifically to reach and soothe the back of the mouth molar area for babies and toddlers. 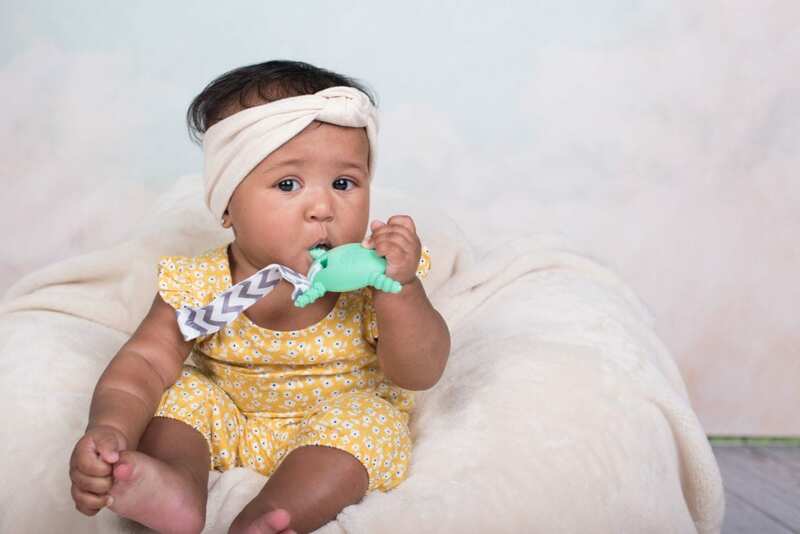 Unlike traditional teethers, the flexible, yet firm, arms and legs reach back around front teeth and gums to the areas your little one needs the relief the most. The oval shape is designed to prevent The Molar Magician from reaching too far while also allowing for easy one-handed use by small hands.